Apple may have gone with Twitter for its mobile platforms, but the latest iLife suite pairs up with Mark Zuckerberg’s network quite nicely. If, for whatever reason, you want to use photos from your Facebook photo gallery, you can now do so. 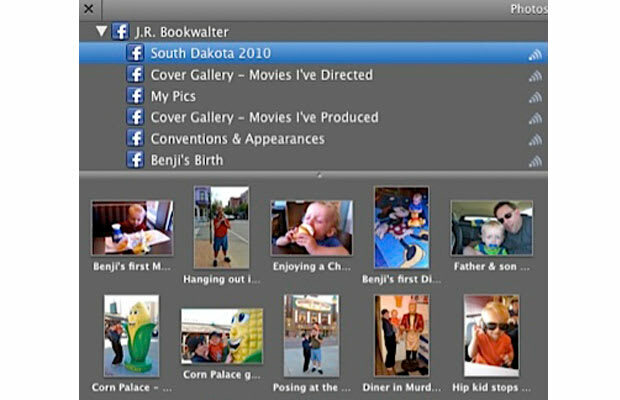 Open iPhoto and synch the program with your Facebook account. Choose which photo galleries you want transferred over. The images will be stored in the iLife Media Browser making them available to all the other iLife programs. Let the embarrassment commence.